Yes it’s true. Our Company will pay you thousands of dollars for that old coach, trailer, mobile home. We will even remove it for free. We are a licensed general contractor located in Orange County Ca. and our specialty is mobile homes. We remove the old trailer from the site and we can prepare the lot for a brand new home. We will even design and build a brand new manufactured home, deliver it to the empty space and set it up. Alot of people wonder why we would pay cash for an old mobile home. Well, we have a few options. We can send them to mexico where they are refurbished and rented as vacation homes or we can send them to mobile home parks across the country where empty spaces need a home. Once the home is delivered to a different mobile home park, it can be remodeled and sold. This is an affordable way for mobile home park owners to start earning space rent on previously empty spaces. One of the coolest parts about owning a mobile home is the fact that you can pullout the old home and install a new home whenever you want. That’s actually what the owner of our company did on his own personal home. 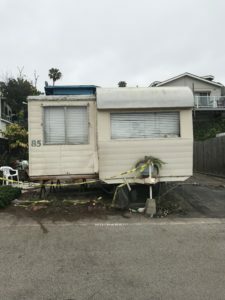 He bought an old coach right by the beach in Huntington Beach Ca for approximately $16,000 and lived in it for one year with his wife and 3 kids. After a year of planning and approvals, he delivered a brand new two manufactured home with a third story ocean view deck. Now a home that was 1100 sf, is now a 2200 sf home with 4 bedrooms, 2 1/2 baths, steps from the ocean. Many people are starting to see the advantage of owning a mobile home or manufactured home, especially baby boomers. They own these beatuful homes where they raised their kids and family. Now that the kids are all moved out, graduated college and married, these homes are simply too much too handle for the baby boomer couple. So what many baby boomers are doing is selling. They are selling and cashing in on the massive equity earned in their home. 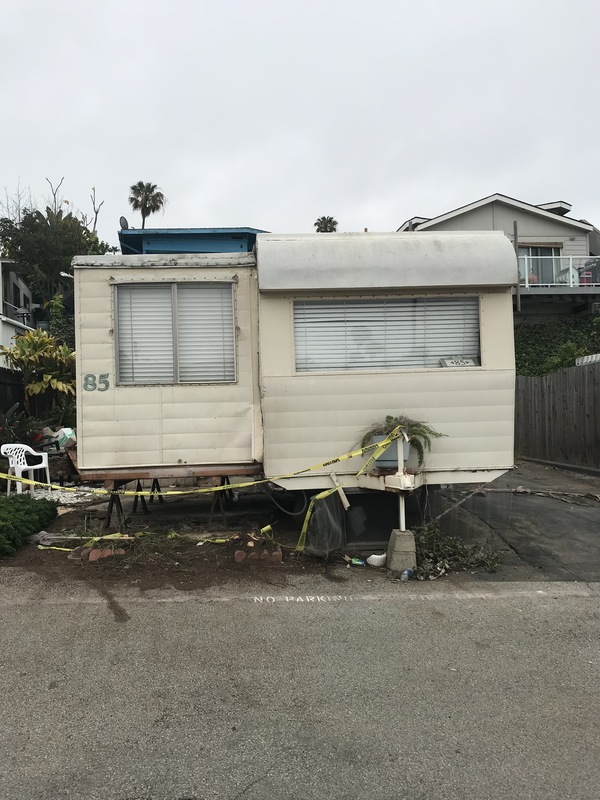 For example, they may sell for $750,000 cash here in Southern California and turn around, buy an old pullout mobile home, then use that beautiful empty space in a prime location to install a brand new manufactured home to suit their needs. The new manufactured homes are night and day from the old trailers that were licensed by the dmv. These new manufactured homes are built to the same, if not better, standards than a conventional, stick built home. 2×4 walls, drywall, quartz counters, hard wood floors, tile showers, frameless shower doors, rooftop decks, concrete patios and porches, 9 ft ceilings, recessed lighting, cauffered ceilings and more! These new manufactured homes can be custom designed and built for less than $200,000. So if you take that equity from the sell of your family home and invest in a manufactured home, the cost may be $200,000 and there may even be a space rent of $1500 per month. But now you have a nest egg of $550,000 to enjoy the rest of your lives in retirement style. We Inspect New and Used Mobile Homes and Manufactured Homes. Contact us today and we can inspect your mobile home tomorrow!